Davidoff Cigar Company Is A Story Of Innovation And Excellence. It is the story of Zino Davidoff..
Born in 1906 in Kiev, Ukraine, Zino moved at a young age to Geneva, Switzerland with his family. The love for tobacco started there when Zino’s father opened Davidoff of Geneva. This love combined with a need for adventure led Zino to Central and South America as a young man. He spent his time learning the rhythms of the sun, soil and rain while making connections with Central American tobacco farms, including Cuba. Following the outbreak of war, Zino returned to Geneva to take over the family store. It wasn’t long before Zino came up with a new invention—the first climate-controlled room in Geneva meant to mirror the climate of Central America. 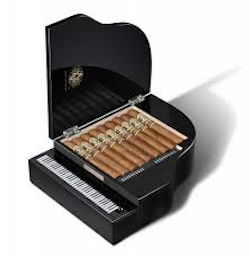 Not too long afterward, Zino invented the first humidor to create the same effect on a smaller scale. As Zino’s inventions became well known, so did Davidoff of Geneva, eventually gaining the attention of big players. With Europe at war, Zino acquired the Persian collection of Cuban Havana stock to store until peaceful times. While countries were busy fighting, Zino began to build a relationship with Cuba and Cuba’s tobacco industry that would solidify and continue in peaceful times. This relationship led to greats such as the Chateau Grand Cru Series, Davidoff Number 1 & 2 and the Ambassadrice. With top-level cigars and powerful ties, Davidoff of Geneva has become an international name. Following the US Embargo, Zino and his new partner, Dr. Ernst Schneider, began to look for tobacco outside of Cuba. With sights set on the United States, Davidoff created a line using Honduran tobacco tailored for the American population. It was a hit and in 1987, Davidoff of Geneva opens its first American store in New York City and began to usher in a new era. Today, Davidoff continues to offer cigars created ‘by hand, by smell and by experts.’ In addition, they have grown their brand to include 28 formats. They have also solidified themselves as a top distributing company. Davidoff of Geneva continues to focus on simplicity and enjoying life with the purest, finest cigars. Originally from Beirut, Avo Uvezian is a musician with a taste for life’s finer flavors, which he passionately puts into his cigars. After moving to NYC in 1947 to study classical piano at Julliard, Avo began to tour with music’s elite during the 50’s and 60’s. It was during this time he developed a passion for cigars. Marine Matt Booth combines the West Coast and the Far East to make products that are rich in culture. Originally a custom jewelry company, Matt began to expand the brand to include anything under the luxury lifestyle heading: jackets, bags, instruments and cigars. With the grit of LA and tenacity of a Marine, Room 101 offers uncompromising and quality cigars, with an edge of course. Staying true to Camacho’s Board of the Bold, Rob Weiss’ cigars are medium to full-body flavors. 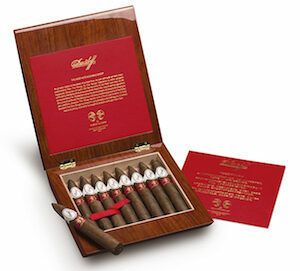 Aging his 5 different tobaccos for up to 8 years, there is nothing rushed about these cigars. 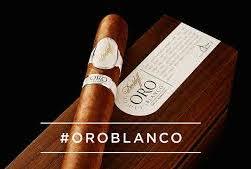 They are true Nicaraguan puro with Habano wrappers combining notes of wood, vanilla and sweet spices. It is anything but ordinary. There is only one Churchill and there is only one cigar to bear his name as complex as the man himself. This rich mixture harmonizes tobaccos from Nicaragua, Mexico, Ecuador and the Dominican Republic. Davidoff has re blended Winston Churchill Cigars for 2015 and has recently launched the new blend for Winston Churchill Cigars. This line includes four cigars: the Aristocrat, the Artist, the Statesman and the Commander which are currently not available in Canada yet but would be introduced later on in the year closer to Xmas. However in Canada Davidoff Cigars still has their original line of Winston Churchill Cigars (Blenheim, Chequers, No. 10, Marrakesh, Lancaster and Spitfire) which we proudly carry. Bearing the name of a mythical creature, Griffin’s were the brainchild of cigar aficionado and club owner Bernard Grobet. After being well received by his club in Geneva, Grobet began to sell his cigars to shops in Switzerland and eventually the United States. These Dominican cigars are a part of Davidoff family of Cigars. A stable for years, the Zino line are medium to full bodied cigars with well-balanced spice and oak flavors. With a blend of Nicaraguan and Honduran tobaccos, the Zino line is a perfectly, harmonized smoke. From Geneva to Central America to the United States and Canada, Davidoff infuses all of their products with their worldly nature and legendary style. From classic flavors to the new, bold and exciting, they have something for everyone. As a Davidoff Depositaire, we invite you to browse our wide selection of luxury cigars and accessories at Nottingham Cigars and Pipes, premiere tobacconist of Edmonton. For years Davidoff has been recognized by the classic white label and a mild to medium bodied cigar blended from Dominican grown filler and binder leaves wrapped in a creamy light Connecticut seed tobacco. 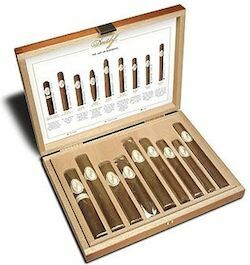 Then in 2013, they released the Davidoff Nicaragua line to much fanfare. It is distinguished by a new black label and tobacco grown solely in Nicaragua that was blended to stimulate both the bitter and sweet taste buds. While the both cigar lines are made in the Dominican factory they are easily differentiated on the shelf by their labels. Look for these core cigar lines at your very own Davidoff appointed merchant – Nottingham Cigars & Pipes. Limited Edition Cigars like Davidoff 100 Years Geneva Robusto, White Edition Series, Davidoff Year of the Snake, Master’s Edition Club House, The Art Edition, Davidoff Year of the Sheep 2015 & Golf Limited Masters Edition 2015.